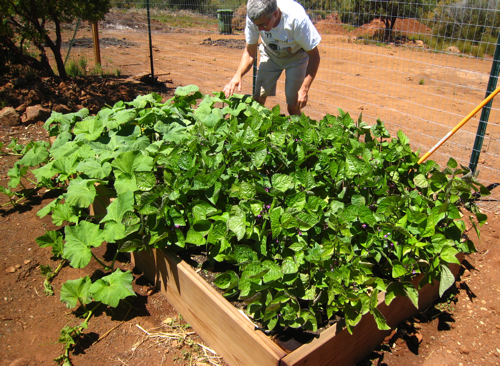 There is a morning every fall when the vegetable gardener grabs his/her coffee/tea and heads out into the garden. The harvest is starting to slow up and there is an extra bite of chill in the air. Soon, a white blanket of frost will cover your beds. 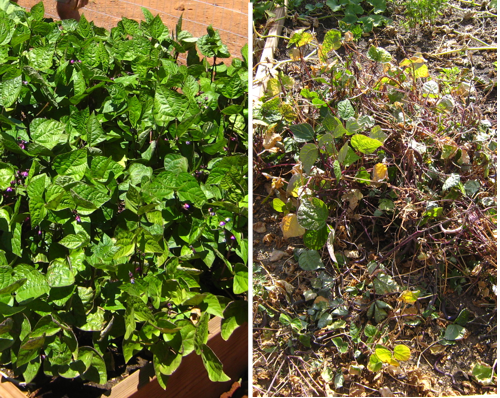 For some gardeners, it marks the end of the year. 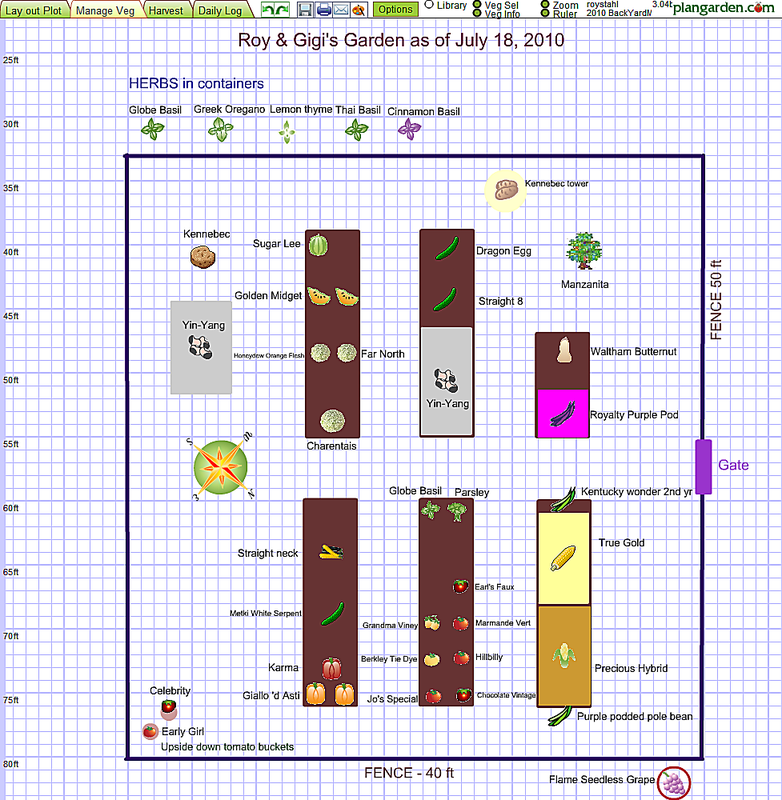 For stubborn gardeners like myself, we want fresh, pesticide-free veggies from the backyard, and as few produce as possible from Mexico or New Zealand or Russia where fuels are consumed to haul them thousands of miles to the local grocer. 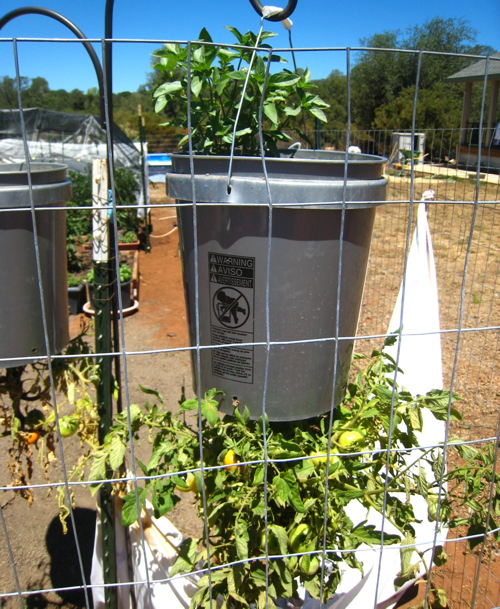 We’re not localvore zealots, but if possible, we want to keep veggies growing until a really hard freeze. This year, I had to face frost for the first time in over a dozen years. 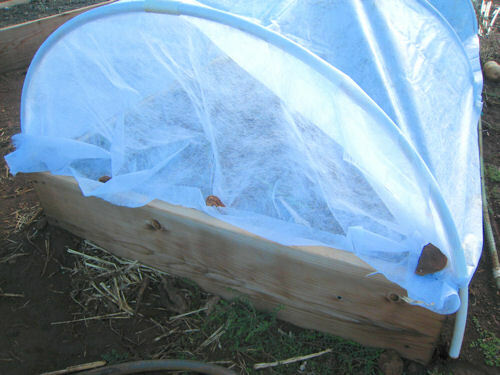 I wanted to build a frost blanket system that I could not only use for short veggies, like lettuce, but also for taller plants like broccoli and cabbages. 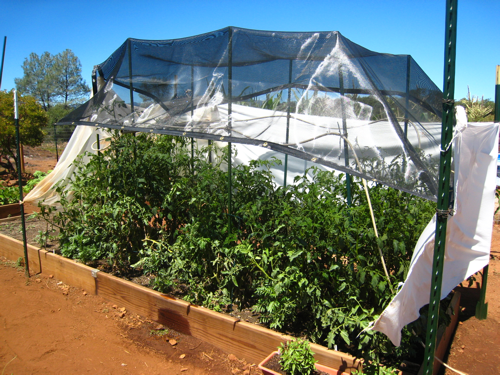 Next year I will use the same system for a shade cloth to protect veggies from our scorching sun. We will use the forumula > 2∏r < (the circumference of a circle, where ∏=3.14) to determine how much PVC pipe to make a semi-circle over a row. This is just to get started because your semi-circle may be more semi-elliptical to account for taller plants. Let’s simplify ∏ as the number 3. Therefore, a half circle is 3 times 1/2 the width (i.e. diameter) of your bed, or even simpler, 1.5 x width of the bed. 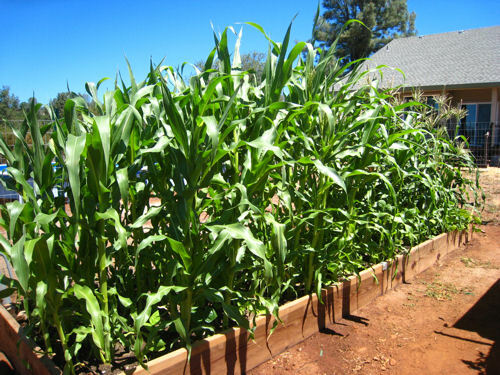 For the above bed where the width is 4ft, the minimum pipe length should be 6 ft (1.5 x 4). 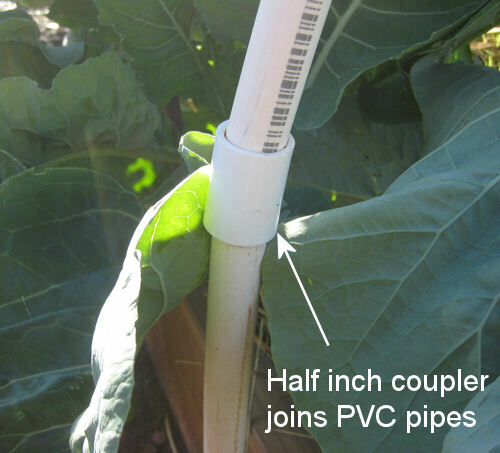 Use a half inch coupler to join PVC pipes. 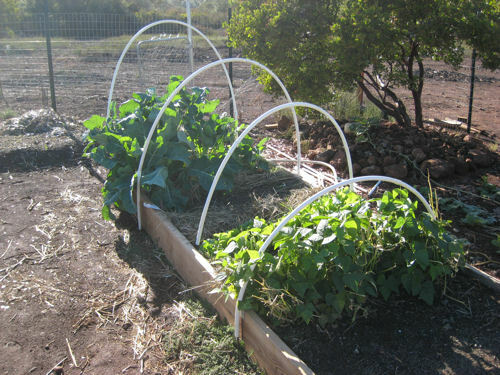 By using inexpensive half inch couplers, you can adjust the height of this frost blanket system to match the height of the vegetables you are protecting. 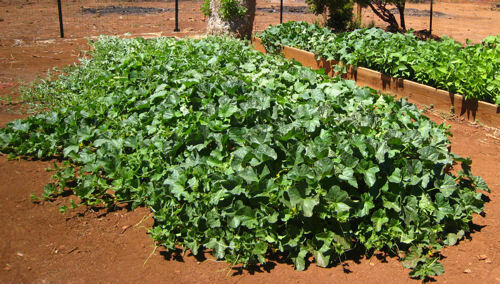 Remember that you want the blanket to get as close and low to the vegetables as possible without touching them. 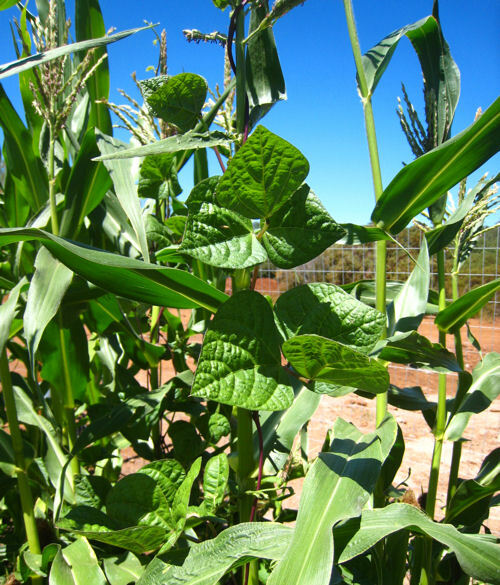 It’s the warm air pocket that insulates the plants, not the blanket. Purchased 10ft x 1/2″ PVC pipe. Easy to bend and cut. Made two lengths of 18in sections off each pipe to use as extensions. Also bought 1/2″ PVC connectors to put on one end of the pipes. Allows to change the height of the system. 3/8″ rebar in 1ft sections, but you may want 18″ or 2ft if you have soft ground. 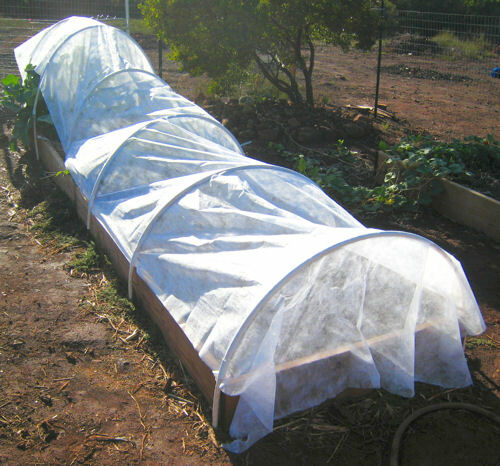 Use Remay cloth for frost protection. Rocks hold down Remay cloth. 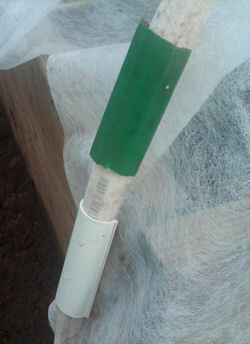 Clips or old garden hose segments fasten to PVC pipe. Water often (avoiding the leaves) and well. 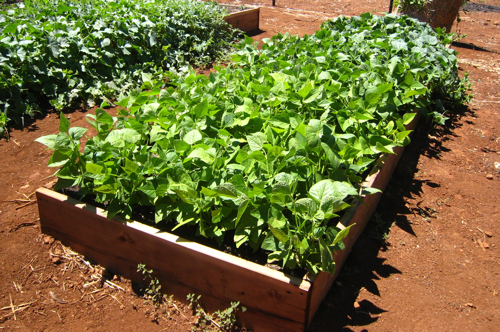 Water is your veggies’ defense against frost. Keep the ground moist. 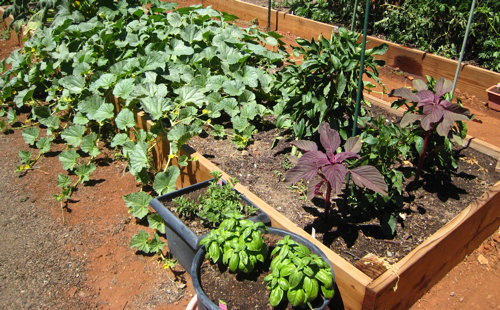 If you can water with warm water from a garden hose that is out in the sun or if you have a small bed of fall veggies, water with warm water at night before you go to bed. 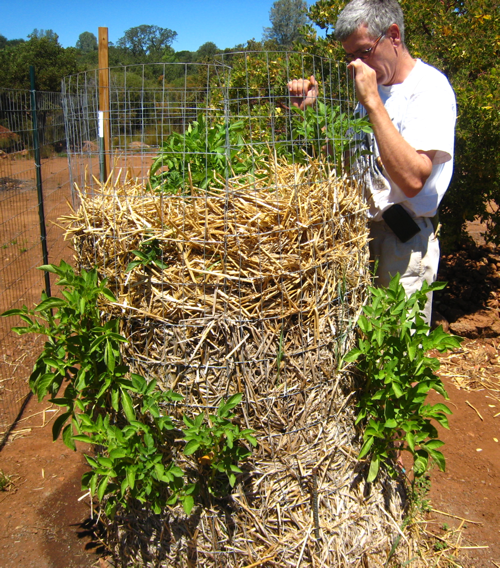 Mulch with hay or newspaper around vegetables to keep soil warm. Don’t forget to remove the blanket if you have a warm day. Instead of using expensive clips to attach the Remay, you could take an old garden hose. 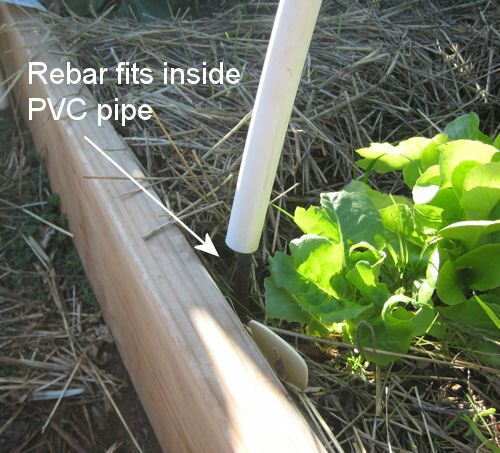 Cut 2-3″ lengths and make a slit down the middle so it can go around the PVC pipe. Remember Your First? Our First Fresh Egg! 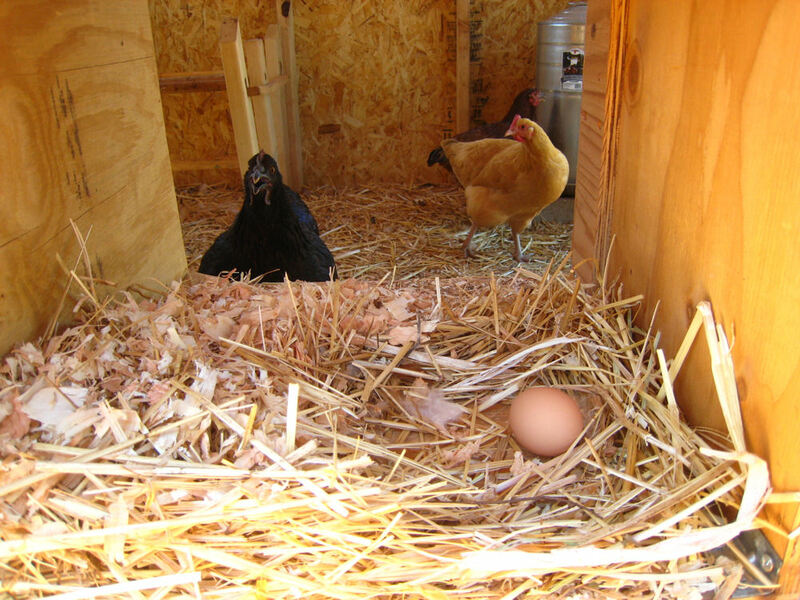 There are many firsts that we cherish: First crush, first kiss, and of course, first pullet egg from your new chickens. You remember where you found it, what time it was, and how you first tweeted about it. It was the morning of August 2nd, tucked away in a corner next to the water tower. It was smaller than a small supermarket egg, but cute! The shell was like 50 grit sandpaper with bumps, and I felt sorry for the hen who laid it. 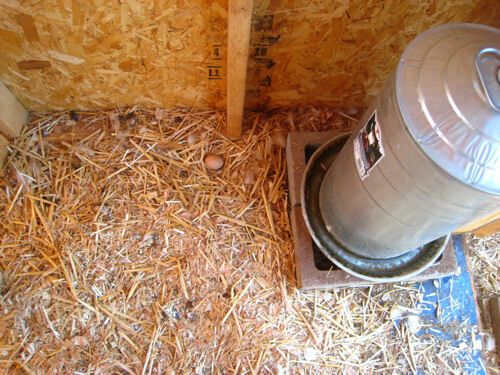 Our first egg in the new hen house! This is the first time that I have had chickens since I was a boy. These are my wife’s first chickens. These free-ranging beauties are hard at work to take care of us! 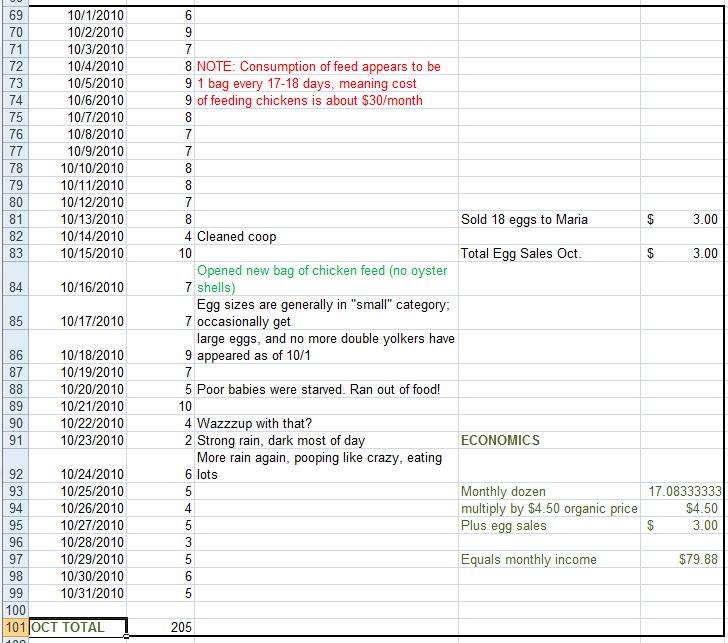 We have gotten a pullet egg per day since the first was laid three days ago. 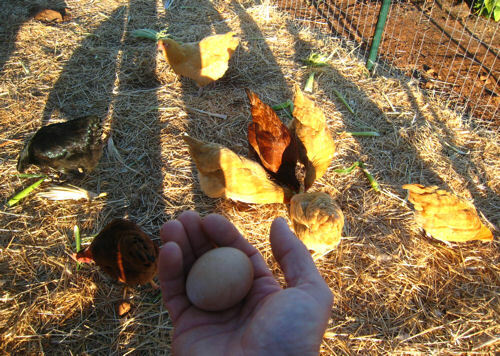 Because hens are supposed to start laying small eggs only once every 3-4 days, it stands to reason that we have three hens that have started to produce. None of our 11 chickens (all about 22 weeks old) have cockledoodledooed, so we presume that they are all girls! P.S. We won’t fail to say “Thank You” to our girls every time we collect eggs. As many chicken owners know, these wonderful, food-providing creatures can also be frustratingly destructive. 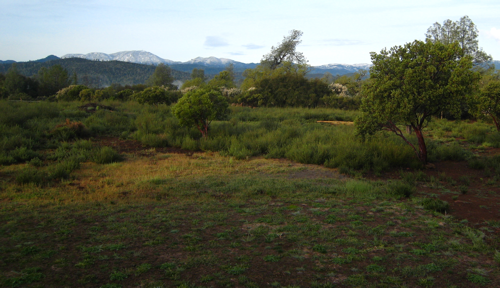 Lush green lawns can quickly turn to wasteland. 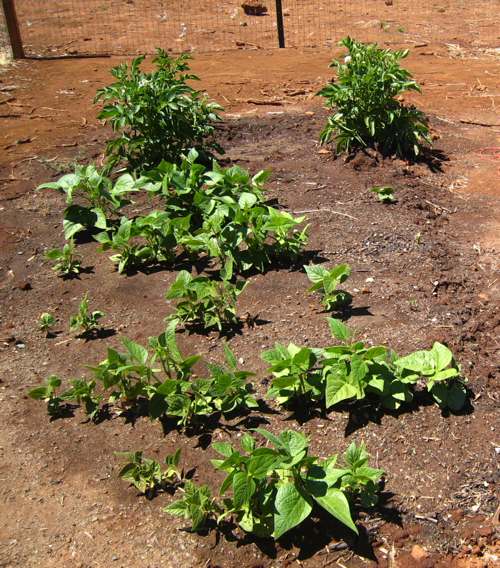 Fresh chicken poop is too potent a fertilizer to use and can quickly “burn” grassy areas and gardens. Chickens also love taking dust baths, creating large cozy divets – which can be problematic for people who don’t care much for moon landscapes! 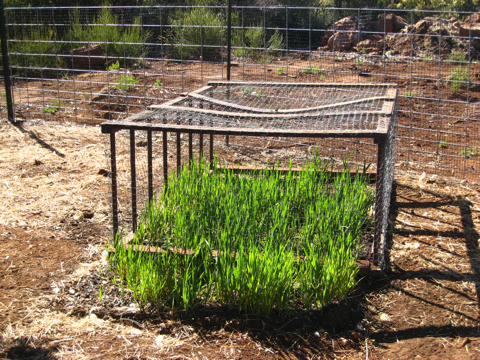 Using a chicken-wire frame shown in the above picture, we can cultivate a “chicken garden” to allow greens to grow undisturbed in our chicken pen until the plants are more mature. When the area is ready, we can either remove all or just part of the frame to let the chooks go wild and feast on the greens. 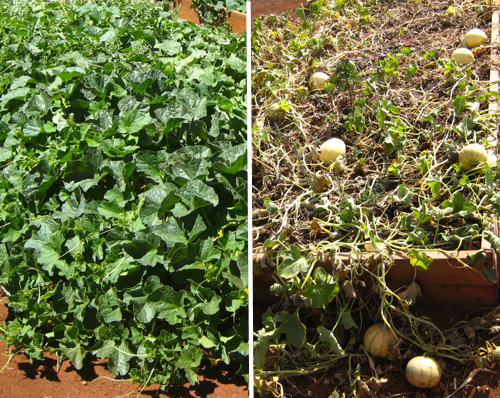 The above area is quickly laid to waste within 24 hrs, but provides a great source of nutrition for our hens. 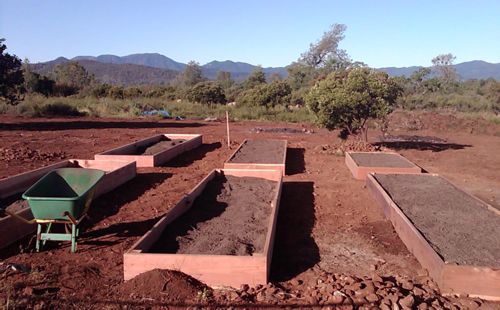 This frame allows us to cultivate gardens in different parts of their pen. 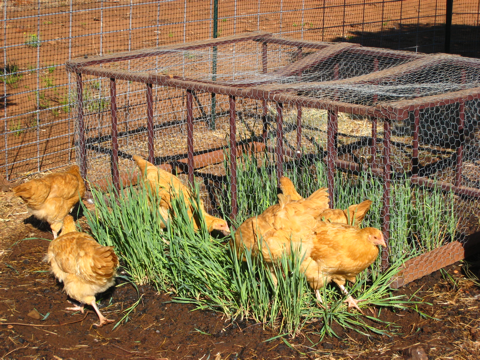 The hulless oats shown above took about 1 1/2 months to grow to that size, so we’re looking for other greens that grow faster and are just as attractive a food to our chooks.